This project is run by a team of Bigfoot researchers based in Ohio. Two of the members, Dan and Paul, were on Monster X Radio last Sunday talking about the project, and Paul told us about his latest sighting. They are an enthusiastic bunch and I really like what they have going on in Ohio. This is a new video which explains a little bit about the Genoskwa Project. I live in MD and I have a question... I found that eyewitness accounts of encounters with these beings indicate that some have eyeshine with a glowing red color and in some cases green. Is it possible the Genoskwa and Sasquatch are different species with different behaviors and diets not unlike the differences btw a Brown and Polar bear? We believe that Genoskwa are the larger, more aggressive cousins of Sasquatch. The red eyeshine was witnessed by Paul Hayes and several people on an expedition about a year and a half ago. Also ,when Paul had his own personal sighting a couple of years ago, the creature he encountered had red eyes. Please know that the color of eyeshine and eye color are two different things though. 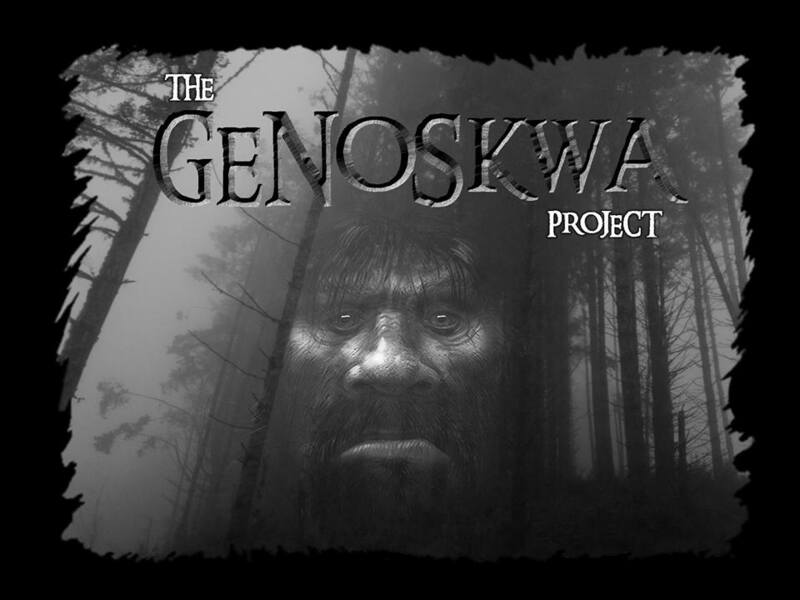 We continue to attempt to discover new evidence of the Genoskwa on an ongoing basis. There really isn't much documentation about them. I don't know how much knowledge you might have of the Genoskwa, but I'd be happy to talk to you sometime about the subject. Same species, but different, like humans have different races and physical characteristics. Their behaviors would be developed from the social factors of the groups they live in. Yes I agree that there are different bigfoot...just like people,I cant vouch for the green eye shine because I have never seen that but I have seen red eye shine on numerous occasions in two different research areas but the two research areas are only a matter of 25 minutes drive time apart...could it be the same bigfoot traveling from area to area or could it be a different family of them...this I don't know either but would like to find out. My grandfather and uncles told us the very same thing. From my research we noticed the teenage juvenile had a greenish eye shine and the larger adult male had the red eye shine. Just like our domestic pets , their eye shine reveals the mood they are in at that moment -----red angry or scared, blue green, calm and curious.